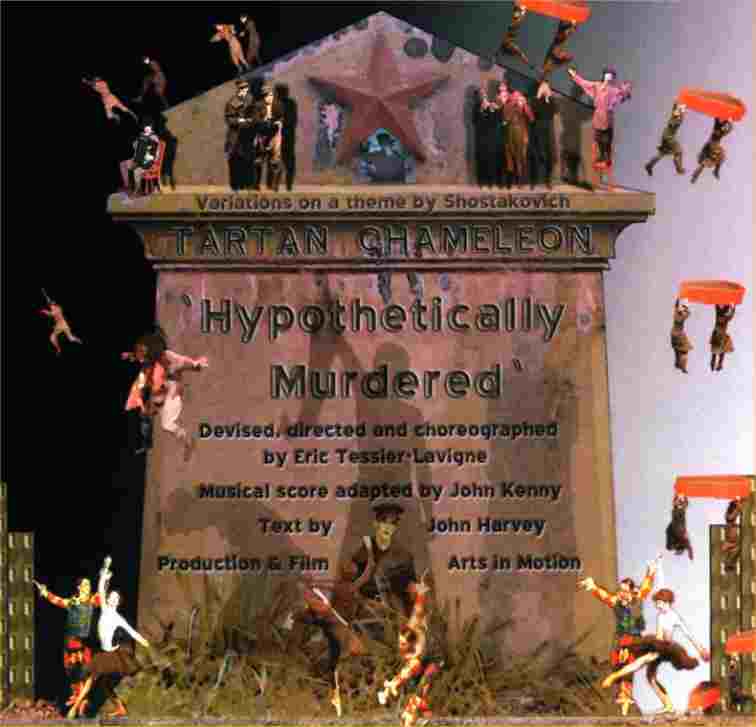 Tartan chameleon's newest project is a world premiere performance of Shotakovitcch's virtually unknown and long buried score Hypothetically Murdered. Set in the dark and turbuletn 1930's Soviet Union, the story focuses on a gravedigger, a survivor, as well as the most job-secure employee of the State, a chance encounter and apoem. Amidst the unease, suspicion and whispers is the excited release of banquets, the trapeze, Harlequin and his Columbine dancing to the tune of Commedia Troika and Auguste, the Communist Party ring Master. Tartan chameleon is led by Cawdor-based dancer Eric Tessier-Lavigne. His stimulating and thought provoking piece has beeen descrribed as hyper-kinetic, visually extreme, musically dynamic, a black comedy romp, both profoundly moving and entertaining.